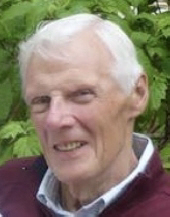 John P. "Jack" Horrell, 81, of Ligonier, (Darlington), died Tuesday, March 26, 2019 at his home. He was born December 3, 1937 in Derry Twp., a son of the late Paul L.and Margaret Geary Horrell. Jack graduated From Derry Twp. High School in 1955. He had served in the U.S. Air Force having been stationed in Alaska. He retired in 2001 from Kennametal after forty-four years of service. He had been an active member of the Darlington Vol. Fire Co. for over fifty-five years, most of those spent as the Treasurer. He had been a member of St. Paul's Lutheran Church in Darlington until its closure. He currently was attending St. James Evangelical Lutheran Church. Some of his happiest memories were deer hunting with his uncles and brother. Jack loved to read. He was a history buff and especially enjoyed American Civil War and World War II history. He loved poetry and could recite many of his favorites. He was well versed in all genres of music. In addition to his parents he was preceded in death by a sister, Dorothy Ashton Smith. Jack is survived by his loving wife of fifty-seven years, Rita Johnson Horrell, three daughters, Carolyn J. (John) Zambotti of Washington Twp., Dana L. Horrell of Cleveland, OH, and Johna (Thomas) McNulty of Ligonier, six grandchildren: Michael Patrick and Alexandra Joy Zambotti, Jordan Louise and Jacob Dawson Ritchie, and Evan Thomas and Katherine Grace McNulty, a brother, James (Carol) Horrell of Latrobe and numerous nieces and nephews. Friends will be received Thursday from 2-4 and 6-8PM at the J. Paul McCracken Funeral Chapel, Inc. ,144 East Main Street, Ligonier, where Jack's life will be celebrated Friday at 11:00AM with the Rev. Dr. J. Paul McCracken officiating. The Darlington Vol. Fire Dept. will hold services in the funeral chapel Thursday at 7:00PM. In lieu of flowers, the family suggests memorial contributions in Jack's memory to the Darlington Vol. Fire Co, the St. James Evangelical Lutheran Church, or to Ligonier Valley Meals on Wheels. To send flowers or a remembrance gift to the family of John P. "Jack" Horrell, please visit our Tribute Store. "Email Address" would like to share the life celebration of John P. "Jack" Horrell. Click on the "link" to go to share a favorite memory or leave a condolence message for the family.